More than 700,000 people in the central Philippines fled to safer areas for fear of giant waves, floods or landslides as Typhoon Melor slammed into the archipelago nation Monday, officials said. Melor crossed the central Burias Island late Monday, with authorities warning that traditional thatched homes were unlikely to withstand the strong winds and that crops may suffer heavy losses. There were no immediate reports of casualties or damage. The typhoon brushed the northern tip of Samar, a farming island of 1.5 million people, early Monday with winds gusting up to 185 kilometres (115 miles) per hour, the state weather bureau said. Samar was among areas devastated in 2013 by Typhoon Haiyan, when giant waves wiped out entire communities and left 7,350 people dead or missing. Authorities warned that Melor's powerful winds might whip up four-metre-high (13-feet) waves, blow off tin roofs and uproot trees. They said heavy rain within its 300-kilometre diameter could trigger floods and landslides. In Albay province in the southeast of Luzon island, almost 600,000 people were evacuated due to fears that heavy rain could cause mudslides on the slopes of nearby Mayon Volcano, according to the national disaster monitoring office. Residents carrying bags of clothes and water jugs clambered onto army trucks in Albay's Legazpi City as authorities sounded an evacuation alarm, according to an AFP photographer at the scene. Huge waves crashed into the city's deserted boulevard as palm trees swayed from the wind. "The whole province is now a ghost town. We shut all establishments. No school, no work," Albay governor Joey Salceda said on ABS-CBN television. Albay, a province of 1.2 million people, has become a model for disaster preparedness. It recorded zero casualties from Typhoon Hagupit last December due to prompt evacuations. 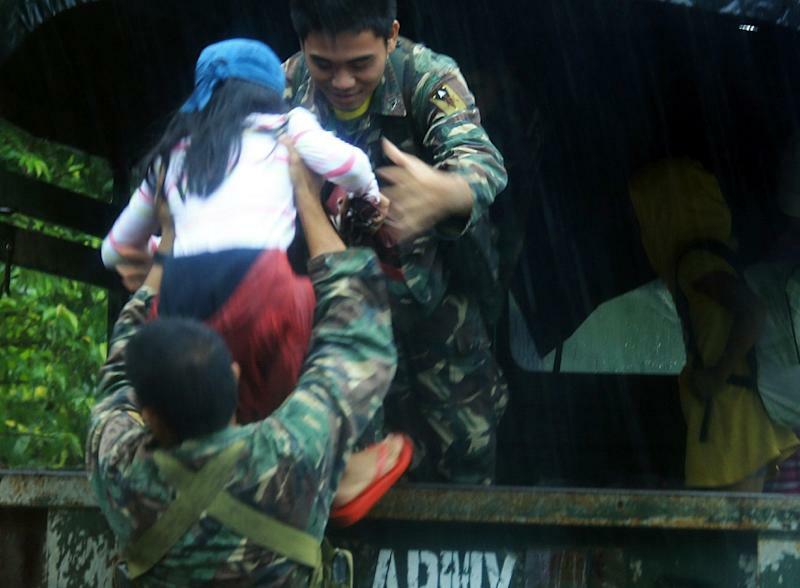 An additional 130,000 people were evacuated in Sorsogon province south of Albay. 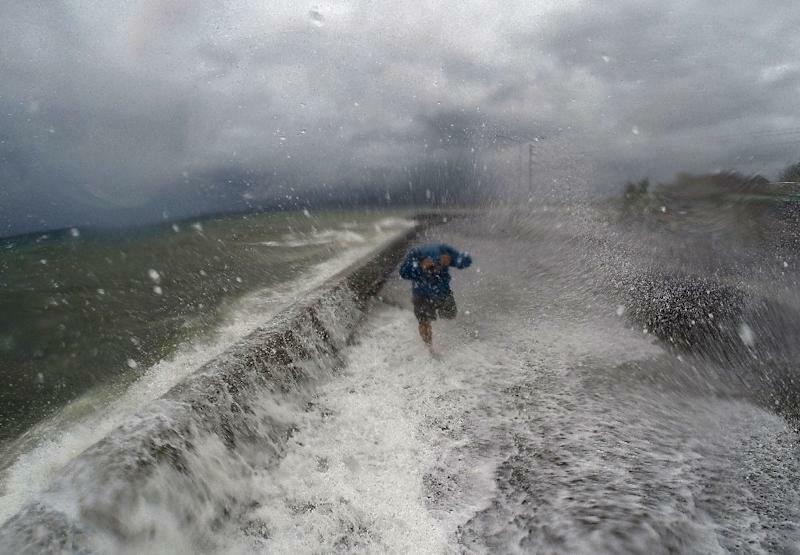 The typhoon had moved over the Sibuyan Sea by late Monday and was next expected to hit Mindoro Island Tuesday afternoon, bringing with it winds of up to 170 kilometres per hour. The storm's outer rain bands could hit the capital Manila, state weather forecaster Robert Badrina told AFP, but the risk of severe wind damage or flooding was unlikely. Stormy weather has forced the cancellation of 40 domestic flights and halted 625 passenger and cargo ferry trips, the disaster monitoring agency said. The government had prepared more than 200,000 food packs and other emergency items before the storm's landfall, social welfare secretary Corazon Soliman told DZMM radio. 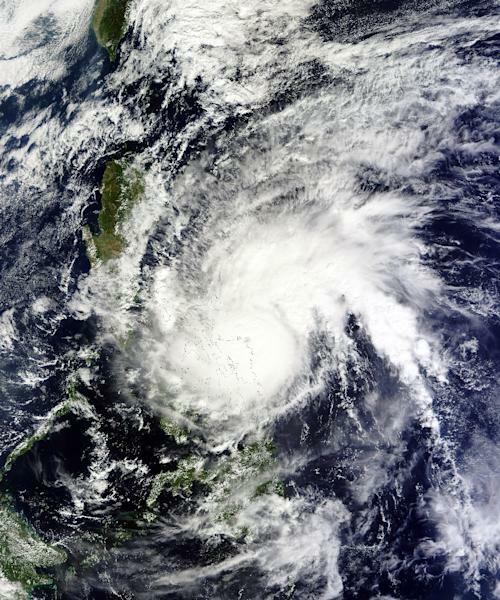 The Philippines is battered by an average of 20 typhoons annually. Two of these usually hit in December, Badrina said, and are often among the strongest. Last year Typhoon Hagupit brought floods and landslides to the central region, killing 53 people. A low-pressure area, which could either strengthen into a typhoon or dissipate because of cold winds blowing from the north, was spotted east of the main southern island of Mindanao, Badrina said. The weather bureau is studying the link between the increasing strength of year-end storms and climate change, he said. Typhoon Koppu, the last deadly storm to hit the country this year, killed 54 people and forced tens of thousands to flee their homes after it pummelled the north in October.